The president of one the biggest bioplastics companies in North America says the industry is poised for explosive growth. NatureWorks, which makes biopolymer (polylactic acid) to create eco-friendly plastics used in things such as food packaging, has grown 20 percent a year since 2008. 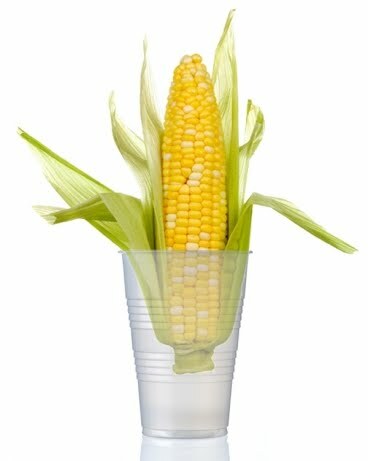 Industry analyst say most bioplastics companies are growing at a rate of about 15 percent per year. Verbruggen says that growth has been bolstered as big multinationals turn away from traditional oil-based plastics. He says Coca-Cola has been one of the major players, using bioplastics in its bottles. “Without Coke there would be no (bioplastics) industry or it would be ten years behind. They are really driving this industry and it’s not green washing, they are putting their money where their mouth is,” says Verbruggen. All that growth comes with problems. NatureWorks expects to build new plants every two to three years – the next is in Thailand. But it is expensive. “It requires a lot of money to play and access to capital is not that great,” he says. Verbruggen expects there will be one million tonnes of new capacity built in the next five years – that will require about 1.5 to 2 billion dollars. He says the “growth will be constrained” simply because the capital to build the plants will be difficult to get. Verbruggen says as larger plastics companies such as Dow, BASF and BP become involved in bioplastics, it may be easier to convince investors to get involved. Verbruggen says it would be far more helpful if governments put in place progressive investment polices, such as Singapore and Thailand.